While I waited for the start of my daughter's high school soccer match last Tuesday, I opened my CNN smartphone app to check the latest headlines. The headline that drew my attention was about Nekmoninate, a frightening drinking game that's sweeping the world via social media. The game, which appears to have originated in Australia, involves a classic teen and young adult behavior--daring others to do really stupid things in the guise of fun. Here's how it works. A person films themselves downing a drink and then nominates (dares) a friend to take it to another level. 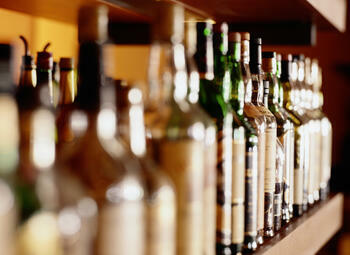 The drink is often alcoholic and of large quantity. The person then posts the film on social media (e.g., Facebook or YouTube). As the game has swept the globe, the dares have become progressively bizarre. People have mixed odd items and liquids with large quantities of alcohol. These items include motor oil, goldfish, insects, even mice. At least 5 young men have died playing this deadly game. As I read the article, I couldn't help but think about my daughters, ages 19 and 16, especially my oldest who just completed her first semester at college and away from home. What's she exposed to? I know most of it--or at least I think I do--because we've always had a very communicative, trusting relationship. (I also attended college--was in a fraternity--and know that some things haven't changed much in the intervening years.) She's shared a lot since she moved away from home, although I'm confident not all of it. Does she know about this game? Reading the article also caused me to reflect on a decision I made five years ago that has been critical to helping my children develop a healthy relationship with alcohol. I decided to quit drinking, except for the wine I take at communion. I quit for two reasons. First, I was entering my mid-40s and wanted to recommit to a healthy lifestyle. I've always been a bit of a health nut, but when I examined my approach to health and well-being, I realized that I needed to make some difficult choices if I wanted to become even healthier as I moved into middle age. As a lover of red wine and craft beers, quitting drinking was definitely a difficult choice, but one that I've never regretted. I'm in the best shape of my life. But the primary reason I quit was to provide my daughters with a role model of someone they love and respect who doesn't need alcohol (or any other drug, for that matter) to have fun and be comfortable in their own skin. (My oldest was about to start high school with all of the associated temptations for risky behavior.) If they didn't have that role model at home, I reasoned, where would they see one. Moreover, I would have felt like a hypocrite if I told them to avoid drinking while they saw me drinking wine to relax after dinner or on the weekend. While I don't advocate that every parent make this choice, it has had the intended effect. My daughters have avoided getting caught in the teen world of drinking and drugging. I've had numerous off-the-cuff conversations with them about the dangers of drinking, often sparked by the escapades of their classmates, a few of which have ended in tragedy. Both of them have said many times how stupid it is to get drunk. Here are five tips to help you talk with your children about alcohol use. Most experts advocate starting to talk with your children about alcohol use when they are as young as 10 years old. 1) Don't project your consequences on your children. Just because you drink and nothing bad has come of it, don't assume that if your child drinks, nothing bad will befall your child. 2) Ask yourself how your own use of alcohol affects your child. The first step in parenting on any issue is to first examine that issue in your own life. If you drink, do you drink responsibly? Do you ever drive after drinking, even after just one drink? Do you get drunk, especially in front of your child? Will you look like a hypocrite if you talk with your child about the dangers of alcohol? 3) Use stories of bad outcomes that result from drinking. Drive home how the inappropriate use of alcohol destroys the lives of the people who engage in it and are its innocent victims. Every week the media report on stories about drunk drivers who kill someone, or die themselves, and get arrested for multiple DWIs/DUIs. Don't be shy about sharing a tragic example close to home (e.g. of a family member). My paternal grandfather and maternal uncle were alcoholics. My grandfather eventually quit drinking, but my uncle eventually died from complications of alcoholism, and it played a big part in ending his seven marriages. 4) Focus on consequences that matter to them right now. Research on how to help pre-teens and teens engage in healthy behavior shows that appealing to immediate consequences that matter to children (not necessarily the ones that matter to their parents and other adults) is more effective than appealing to consequences that will take years for them to experience. For example, emphasize how drinking will make your child look stupid in the eyes of his friends or affect her ability to play a sport to her utmost ability. 5) Keep your relationship with your child as strong as possible. The best medicine is always prevention. Children who have a strong relationship with their parents (e.g. open, trusting, and mutual respect) are less likely to use and abuse alcohol. At NFI, we know this fact to be especially true in relationships between fathers and their children. For more tips on how to talk with your teens about alcohol use, download this quick reference guide from the National Institute on Alcohol Abuse and Alcoholism. How does/will your alcohol use affect your child? Have you started to talk with your child about the dangers of alcohol use?